Il Pietraio is an old holiday villa with pool immersed deeply in the wild woods of the Carline Natural Reserve, a hidden pearl in the province of Siena amidst deer, porcupines and wild boars. The holiday home, on a secluded hill with beautiful views, is 3 kms into the woods bordering only with a restaurant and an ancient thermal bath 2 kms away. The whole property has recently been completely restored using traditional Tuscan techniques. A lot of attention was given to detail, all rooms are carefully decorated and furnished with antiques, most rooms has heating and air conditioning, satellite tv with flat screen; all rooms have mosquito nets on wooden frames on each window. 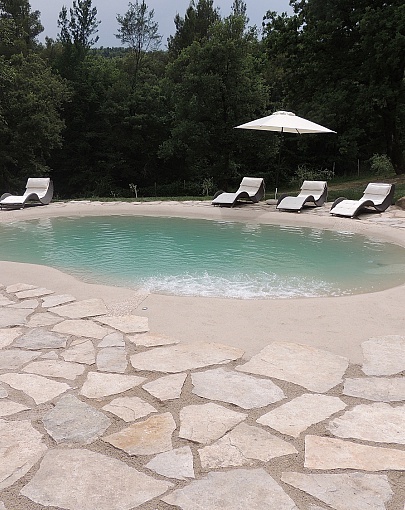 Il Pietraio is a luxury holiday rental villa with pool sleeps up to 15 in 6 bedrooms. It develops around the cosy inner yard hosting on the ground floor 3 en-suite double bedrooms with air conditioning and satellite tv, a large panoramic lounge/dining room, BBQ and open air wood oven. The first floor features a large open kitchen/living area with satellite tv and 3 double bedrooms each with its own bathroom and air conditioning. The owners offer a great 'private chef', driver and concierge service on request. 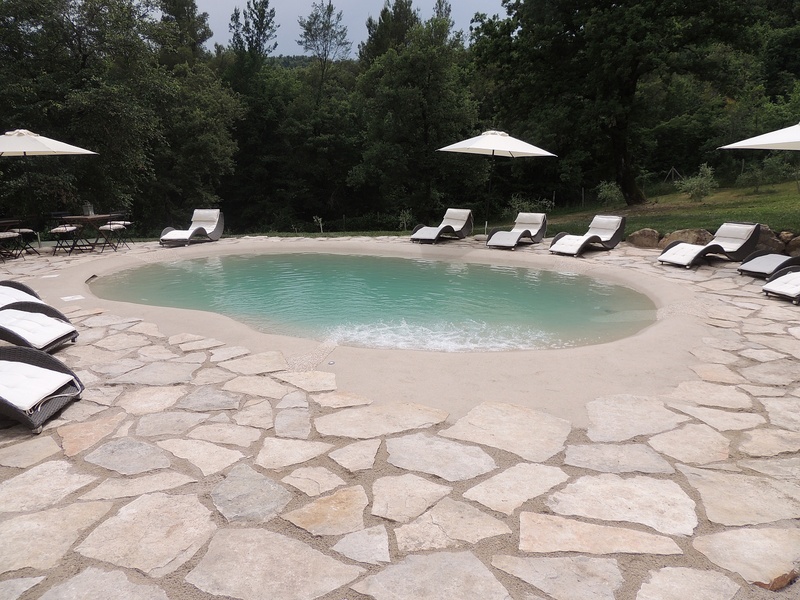 Il Pietraio has a panoramic swimming pool with shower, deckchairs and parasols. The area abounds in marked walking routes, beautiful rivers, genuine restaurants, organic farmhouses, scrumptious food and breathtaking views. Food shopping, restaurants, bars, chemist, bank, post office can be found in either Belforte or Radicondoli which are 7 and 12 kms away from the holiday rental villa.